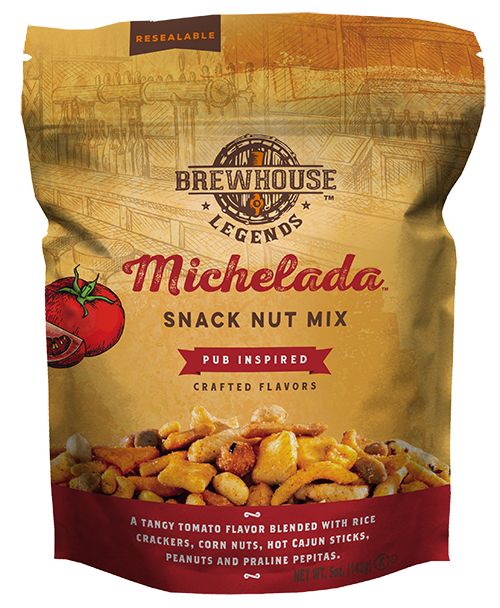 Brewhouse Legends sought a way to bring the passion and creativity of craft-beer brewing to the snack aisle. Innovation without precedent is the brewer's mantra, delivering new flavor experiences meant for sharing. Inspired by this tradition, we’ve crafted snack mixes that are destined to become legendary. Discover a twist from everyday snacking. A tangy tomato flavor blended with rice crackers, corn nuts, hot Cajun sticks peanuts and praline pepitas. 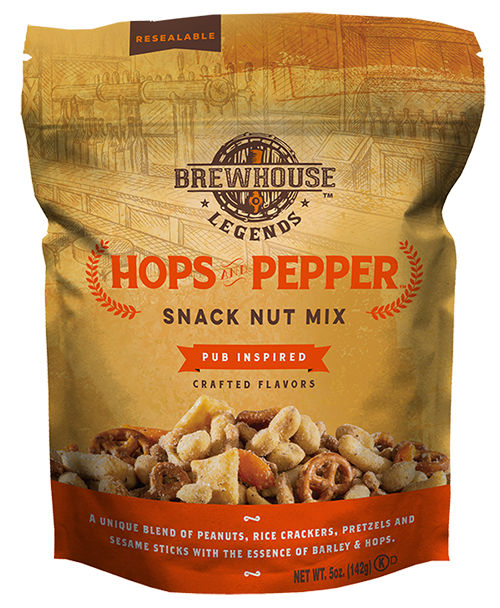 A unique blend of peanuts, rice crackers, pretzels and sesame sticks with the essence of barley and hops. 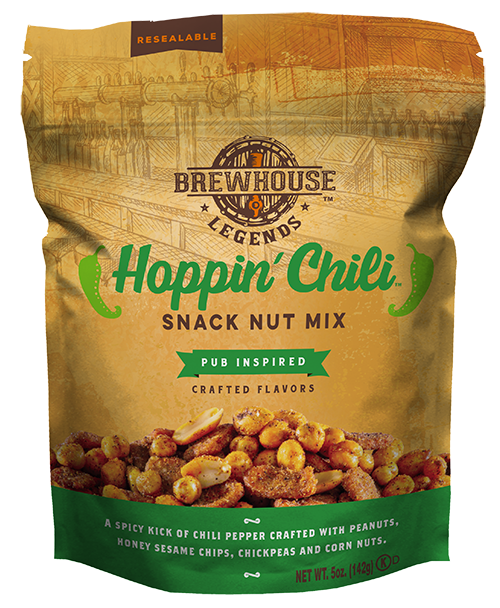 A spicy kick of chili pepper, crafted with peanuts, honey sesame chips, chick peas, and corn nuts.